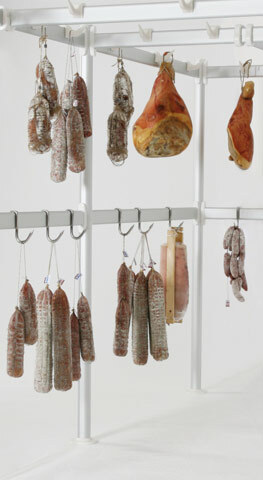 Sectional system for hanging and storing. 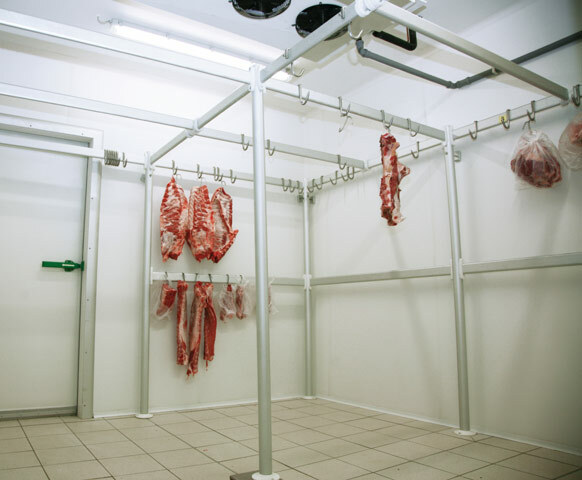 The IM 09 system self-supporting framework, which is certified with NF marking, is a functional solution that is ideal for hanging up and storing meat inside walk-in cold rooms of any kind and size without the need for making holes in panels. 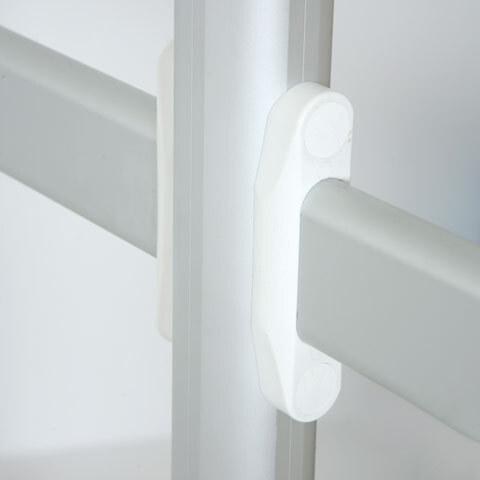 Comprising anodized aluminium alloy profiles 12 microns thick and components that can be swapped round and adapted to each other, this system is designed to give you unlimited freedom in putting together the framework to meet your individual needs. 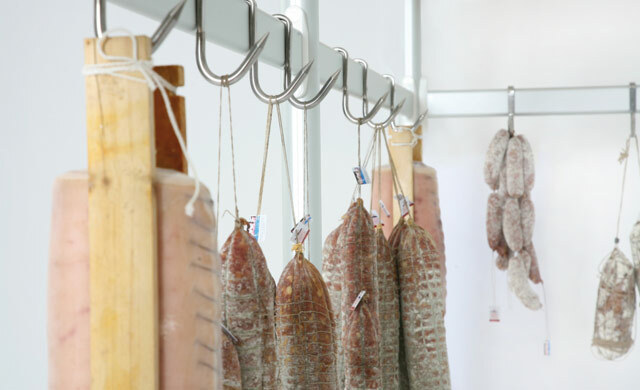 A modern, stable, solid system that is quick and easy to assemble and food safe according to the relevant regulations in force. Made entirely from anodized aluminium alloy 12 microns thick and non-toxic plastics, it is guaranteed to offer lasting stability against corrosion by water and moisture. 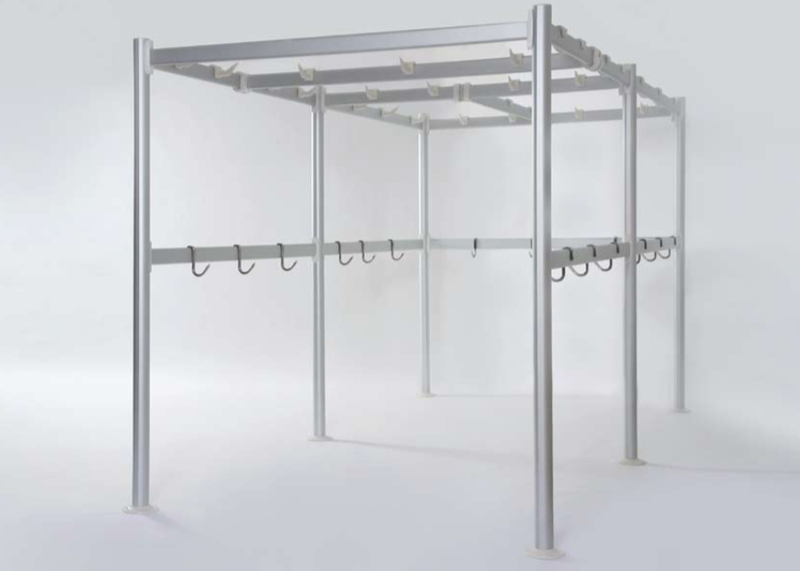 A modern, stable and solid sectional system that is built to take heavy loads and does not need any special fastening or anchoring inside walk-in cold rooms. 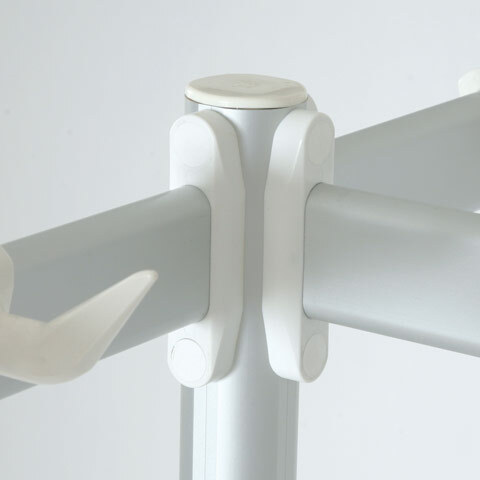 The extreme simplicity of assembly achieved thanks to the slot-together system means assembly is straightforward and fast and can be performed without the aid of special tools. The system boasts impressive versatility meaning different compositions can be put together at will inside walk-in cold rooms of any kind and size.